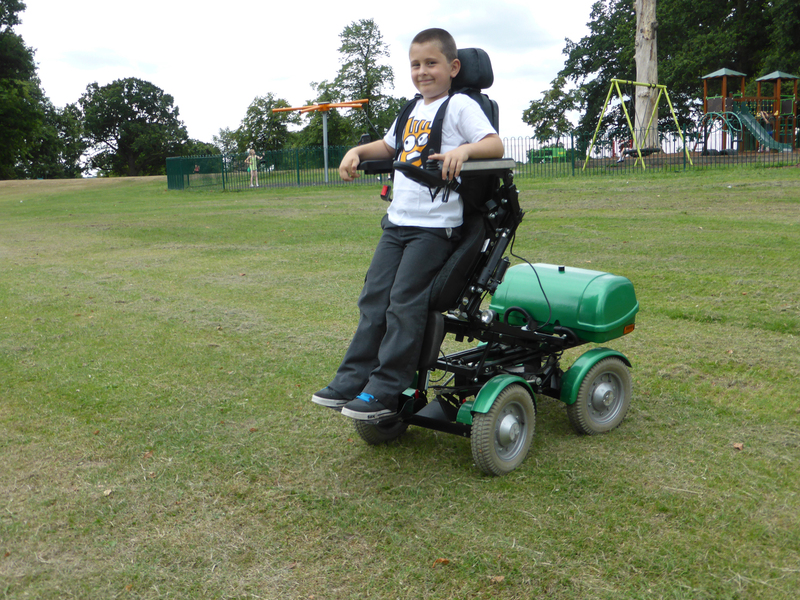 The market leading Mybility Wheelchair range has a recent addition with its newly launched Kids Stand Up Wheelchair. Mybility has a well established reputation as the providers of the only truly All Terrain Stand Up Wheelchair in the UK. The new Kids Stand Up wheelchair can also make the same claim and very importantly it has been specially designed to grow with your child. Mybility’s specialist seating system enables the user to raise up to reach selves or to find a comfortable eye level position for conversation. In addition the seat can get into a standing position, lay down flat or virtually any position in between. To meet the needs of kids aged 5 to 10 years, the seat has been scaled down with the same amazing functionality as the adult seat. Perfect for use at school, for play or at home, this wheelchair has also been designed to grow with your child because the frame, which has a 10 year lifespan, guaranteed by our 10 year frame warranty, can be easily be converted to fit an older child or adult with adult sized seating. The Mybility Stand Up Wheelchair is the only truly all terrain stand up on the market that can make that claim. It can comfortably and safely handle a range of even the most challenging terrains from: grass, mud, cobbles, steep slopes, high kerbs, steps, snow and even sand. . It is also kind to carpets and floors. It is also highly manoeuvrable and handles tight corners indoors and is kind to your carpets and floors at home. This wheelchair gives the user unprecedented freedom to live life to the full. Its flexible seating and ability to handle indoor and outdoor terrains enables adults to go to work or take part in family and leisure activities. For kids, the wheelchair empowers them to keep up with their peers and take part in a wider range of school, play, sports and leisure activities. The wheelchair holds all relevant EU safety certificates for use as a seat in a vehicle and, if required, we can provide dual controls for a parent or carer. We can also restrict the speed as appropriate. Full user trainer is included in the price. We are able to offer two options of attendant controls. Either an additional joystick on the back of the wheelchair or a wireless remote control with proximity detector to for added safety.